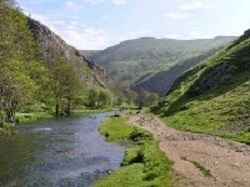 This challenge sees us taking in one long day of trekking along the Roman Roads, gritstone edges and classic ridges of the Vale of Edale. Be ready for a challenge - and also be ready for a beautiful walk through breathtaking scenery. We shall climb up from Hope, over Kinder Scout and Kinder Downfall, not dipping below 1,000ft until our return to walk through the Edale Valley. Our route will involve a distance of approximately 13 miles, starting and finishing straight from your accommodation. Our trek starts and ends in Edale. 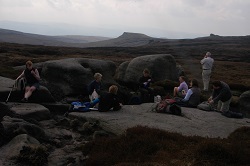 From here we trek via the Edale Skyline ridgeover to Kinder Scout's precipitous gritsone edges and with a jaunt into the forbidding interior of the Kinder plateau! After the spectacular Kinder Downfall, we join the Pennine Way down Jacob's ladder as we head through the valley back to Edale. We will be staying in clean, comfortable bunkhouse accommodation for 1 night. Breakfast & Bedding is provided. Please bring your own towel. Please note similar itineraries are availble i.e. a 2 day event or a longer or shorter route.